Air quality, or the lack of it, has become a hot topic in the UK, which hopefully means this book will be read by a wider audience outside the environmental science community. In terms of helping to facilitate change, it certainly needs to be. The introduction starts with emotive description of the impact polluters have on all of us, introducing the concept of air being used as a waste disposal route. I’m not sure that many people have thought of it this way, and this provides a different way of thinking about the problem. The early chapters of the book provide a historical review of air quality issues and their impacts, providing an insight into the pioneering scientists who investigated pollution and tried to get something done about it. An early, and recurring topic in the book, is the medical profession's lack of interest or understanding of the effects of air pollution, and the disastrous consequences this has had for human health. Even today, the complex effects of air pollution are not fully understood, meaning that the message of harm is not heard as loudly as it should be. Another important theme is the impact of particulates on human health, and how this form of pollution continues to affect the health of millions of people worldwide. In the developed world, it used to be thought of in visual terms, as a result of wood or coal burning, and therefore once the dark smoke was removed from the environment, the problem was ‘solved’. The reality is that the problem is not just the particles that we can see, but the fine particulates that cannot (the Invisible Killer), and these continue to be released into the air in vast quantities. The book provides important insights into how other pollution issues of the 20th Century came about; lead in petrol, acid rain and the impact of emissions from diesel cars and trucks. In many cases, scientific advice has been ignored by governments and short-term economic interests have prevailed. Large vested interests were able to prevent the true health impacts of pollution emerging, falsely claiming that a lack of evidence of harm is proof that no harm exists. This is still true of many environmental issues today. The final chapter of the book looks at possible solutions to the air quality problems currently faced by the world’s population. From how to reduce the dependence of wood as a fuel for cooking and heating in the developing world, to redesigning our cities for living, rather than driving in. In essence, these will require personal behaviour changes, and as the book convincingly demonstrates, whilst there is an economic cost to this, the cost of not acting on air pollution is far higher. The book is recommended reading for all air quality scientists; the history of air pollution provides lessons that we shouldn't need to relearn. There are references and pointers to further information throughout the book, and the description of how different pollutants interact in the atmosphere is fundamental knowledge. 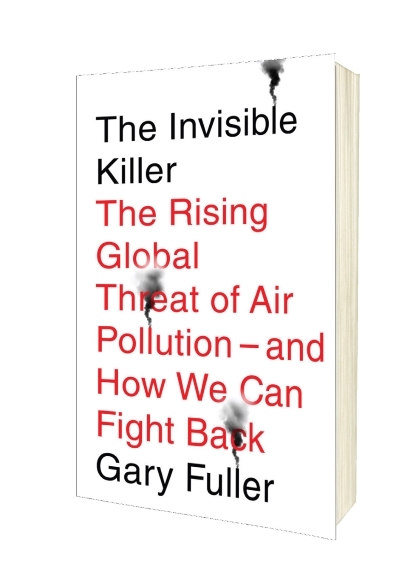 More importantly, however, it is recommended reading for everyone, as it is only through convincing the general public of the need for change will the mistakes of the past be avoided and the future impact of air pollution be reduced.